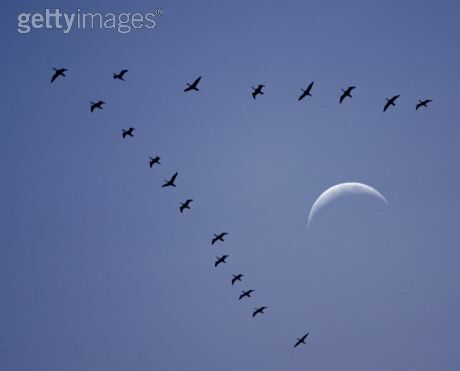 When you look up in the sky you just may happen to see a group of birds flying in a V formation. But have you ever wondered why they do this? Its not because the “Mighty Ducks” told them to stick together or because it is just a random coincidence, it actually has a purpose. The actual reason why birds fly in a V-shape is for two reasons, the formation helps reduce drag so that the birds experience less resistance than they would if they were to fly alone and also the formation helps to let the birds communicate more easily. The reason why the birds experience less drag is because of the wingtip vortices that are created. 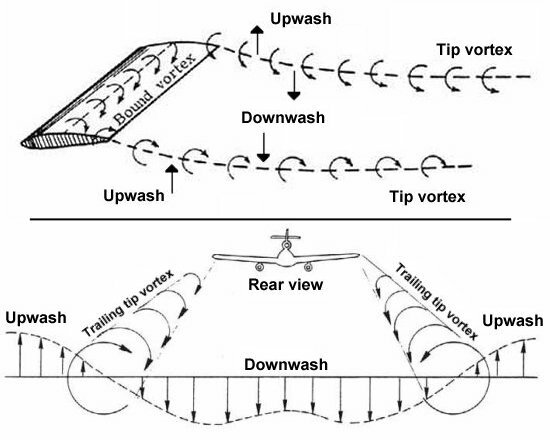 These vortices are generally undesirable because they create a downwash that increase the induced drag on a wing in flight. However, this downwash is also accompanied by an upwash that can be beneficial to a second wing flying behind and slightly above the first. The birds that fly behind other birds experience a decrease in drag and that makes the long flight that they go through much easier. The birds that fly behind experience a upwash and gain free lift and they can fly at a lower angle of attack. When the angle of attack is decreased the drag is also lowered and the bird does not need to flap its wings as hard and as often in order to maintain flight. Researchers discovered that as pelicans fly the heart rate is much lower when flying in a V formation compared to flying alone. Another study has shown that a flock of 25 birds can fly 70% further than a solo bird using that same amount of energy. Not all the birds benefit however. 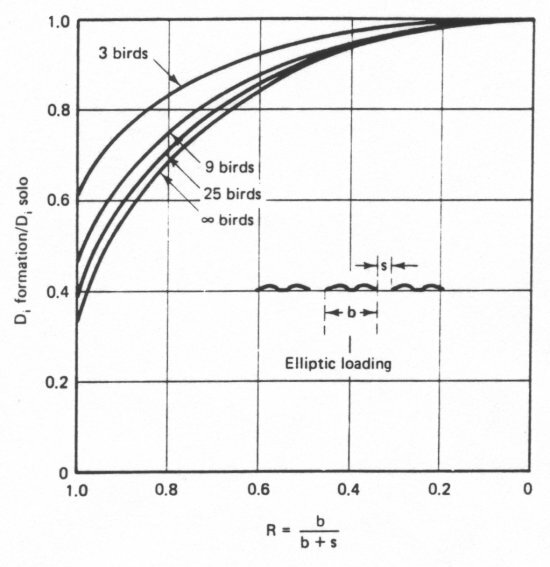 The lead bird does not experience reduced drag because it is flying into undisturbed air. Also,The presence of the two birds flanking the leader helps to dissipate the downwash off the lead bird’s wingtips and reduces the induced drag this bird experiences. These two flanking birds also benefit from a similar reduction in drag if outboard birds flank them as well. In other words, the birds in the middle of each of the lines forming the V are in the best position. The lead bird does not always have to deal with the burden of harder flight because when the bird gets tired it will drop back to a middle position which is the easiest and another bird will take the lead position. The birds that fly in the farthest back positions will also switch to a middle position in order to have a less difficult time flying. So that is the reason why birds fly in a V position. So next time you see a flock of geese or duck flying above you in the sky, know that they are not only trying to look cool, but they are also using the forces of aerodynamics in order to reduce the effort that they have to use. Nature is much more complex than we even know. And … David … you have lifted full sentences from your source, when it was made clear in our class discussions that this is inappropriate.